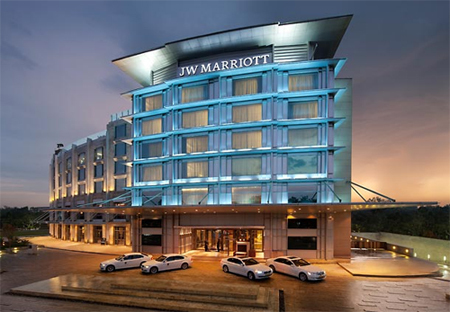 JW Marriott Hotel is an exquisitely designed luxurious five-star hotel with magnificent architecture. 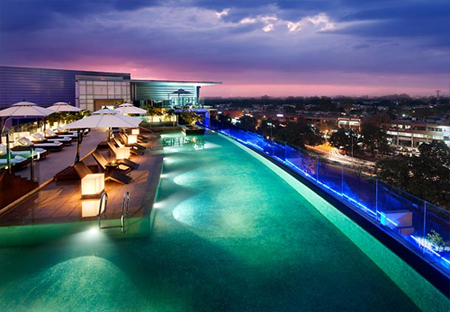 It is located near the Business District of Sector-17 in Chandigarh. 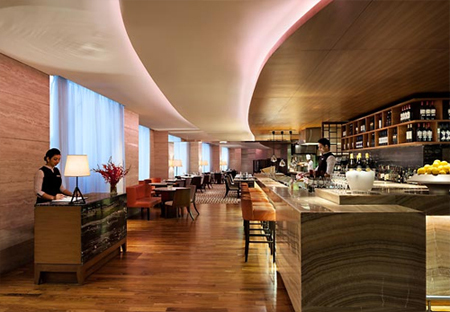 The hotel exhibits the contemporary aura well complimented by the happy to help staff. The rooms of this luxurious five star property are meticulously designed and they are equipped with beautiful interiors. 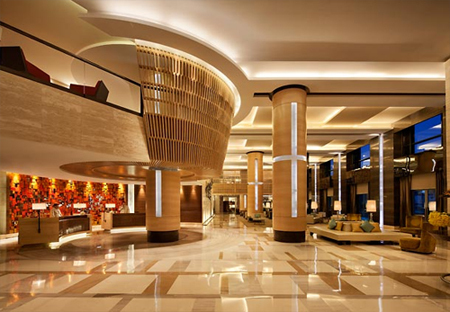 The topnotch amenities offered by the hotel make the tourists feel a paramount luxury. 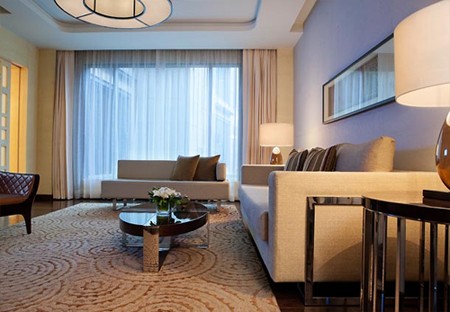 Plush bedding, assortment of in-room media and workspace add a regal charm. 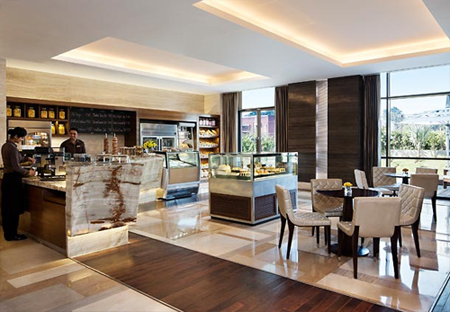 This lush accommodation option in Chandigarh has seven restaurants, which offer a wide range of cuisines. The unmatched services and royal settings make this hotel an ideal option for a tourist seeking extravagance. 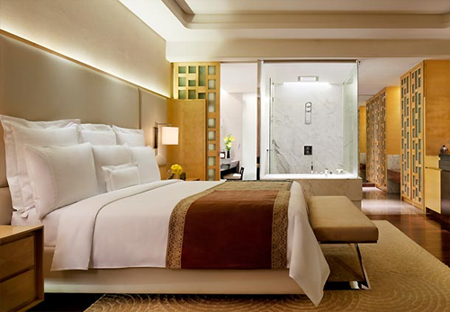 This state-of-the-art hotel proffers 164 tastefully appointed rooms that are sub-divided into four categories: Deluxe Rooms, Executive Clubs, Luxury Suites and Presidential Suites. 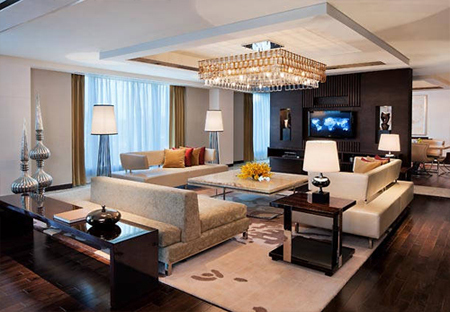 These rooms and suites boast transfixing ambiance and magnificent interiors. In addition to this, these accommodation options are equipped with all the first-rate facilities essential to make certain a memorable sojourn. Round the clock room service adds on to the imperial aroma. All the facilities and services offered in the hotel make the refuge of the guests regal.